Nara is probably best known for its abundant deer and its giant Buddha statue, but it also boasts some top spots for cocktails. 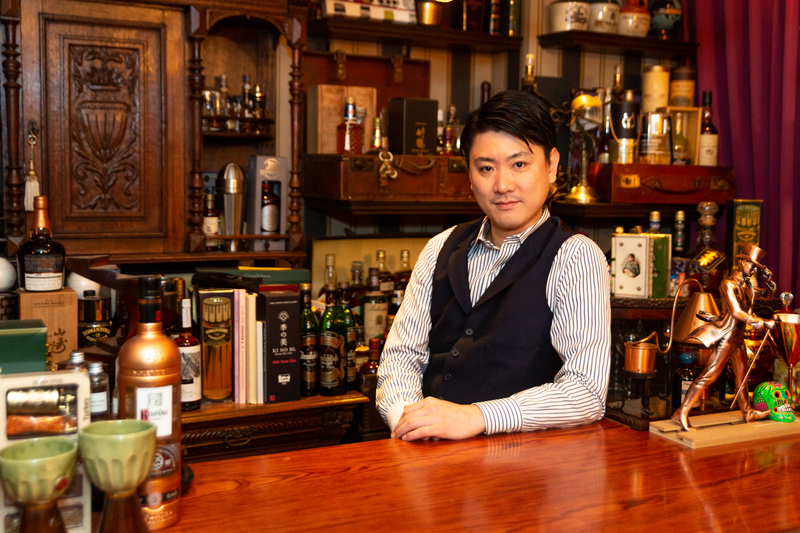 Master bartender Michito Kaneko owns and runs Lamp Bar, which is a two-minute walk from Kintetsu Nara Station. He’s been working in the field of mixology since the age of 20. In 2015, he beat more than 10,000 competitors from around the world to win the World Class competition, a bartending tournament. Since then, he has traveled around the world hosting mixology seminars. This hasn’t stopped him from refining and improving his own techniques, though. The Lamp Bar has no menus. Many customers opt to order one of Kaneko’s specialties – such as Amber Time, Union, or Japanese Sensory – or request to be surprised, and delighted, by the bartender’s choice of creation (a fancy concoction served smoking in a half eggshell, perhaps?). A heads up that no menu also means no prices, and all that creative class costs some cash, so be prepared to spend at least ¥2,000 per drink. A generous host and a man of many friends, Kaneko recommends several other great bars in Nara. At Old Time, Yutaka Haba, described by Kaneko as a “legendary bartender,” has been Kaneko’s mentor and guide since Kaneko first started bartending. Haba is well-known in the Nara bartending scene, and Kaneko recommends trying his gimlets and martinis in particular. Old Time is located in Hotel Fujita, near Sanjo-dori. In Nara Hotel’s unnamed bar, keep an eye out for bartender Tsuyoshi Miyazaki. Kaneko met Miyazaki in 2010 when they worked together at Nara Hotel. The two of them became fast friends. Miyazaki specializes in wine-flavored cocktails. He won Japan’s national mixology competition in 2013 and is a master mixologist with many years’ experience. The bar is located on the first floor of the main building of the Nara Hotel, near Kintetsu Nara Station. The Sailing Bar is where you can find bartender Takumi Watanabe, another friend of Kaneko. Both committed to honing their craft, the two have known each other since Kaneko started bartending and have worked together many times in the past. Like the others, Watanabe has a stellar reputation in bartending. He was the 2010 first-place winner of Japan’s national bartending competition. Kaneko suggests trying the Botanical Garden, a martini special of Watanabe’s. The Sailing Bar is located 15 minutes from Sakurai Station. Whether you are planning a visit to Nara or are already there, take the time to treat yourself to a beverage created and served by award-winning bartenders who have devoted their lives to mastering the art of mixology.